SureFeed® magazines are beautifully finished, then promptly scuffed. Why? 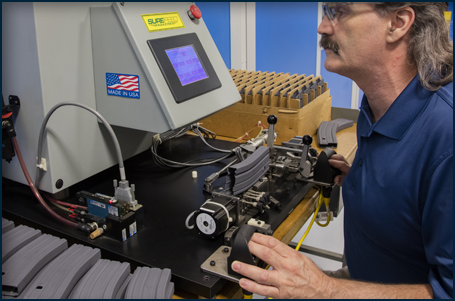 Because each and every magazine is hand-inspected and then tested with proprietary electronic gaging for flawless reliability. Testing the final product mars the finish, but it doesn’t mar performance. In fact, our scuffs are the mark of reliability. Testing and verification is mandatory for every one of our magazines. The marks you see on the left of the magazine above prove they are tried and true. You can make your mark every time you use one. Thorough testing has enabled SureFeed® magazines to earn a well-deserved reputation as the best magazines available.